Showtime Productions, established in 1993, offers a continuing dance program from the basic preschool level through the advanced student. Dance education allows students the opportunity to work as a team, present themselves as performers, and grow into confident young adults. We are committed to building self-esteem, confidence, and discipline in each of our dancers. Our students are encouraged to participate in an atmosphere that is both positive and professional. 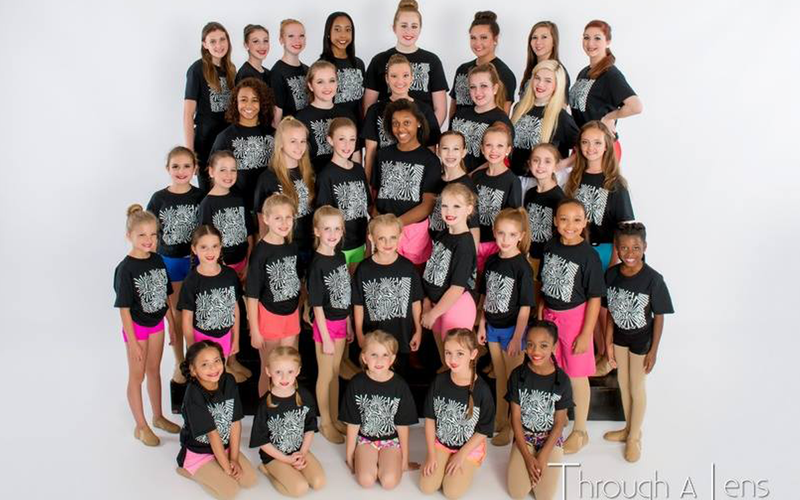 Showtime was voted the Favorite Dance Studio receiving the Readers’ Choice Aware as the “Best Greater Alton” has to offer by the Advantage News in 2015. We strive to make dance not only educational but fun. Our staff is sensitive to parental issues and makes every effort to keep the parents informed and prepared. For many, Showtime is our student’s home away from home. What is the primary reason why children and parents join Showtime Productions? One of the best signs of a stable studio is the longevity of its instructors. Showtime Production was founded in 1993, and several of our instructors have been here from the beginning. They not only get to do something they love but get to share something they love with other people. They believe they are making a difference in their student’s lives and enjoy seeing them improve over time. Our instructors began dancing at a very young age and have over 100 years combined instruction experience. Many are currently working professionals in the dance field. They are excited to share their enthusiasm and passion for dance with their students. Showtime students have performed in The Nutcracker, The St. Louis Muny Opera, The St. Louis Ballet, and The Fox Theater. They have been hired by companies such as Busch Gardens, various cruise lines and Branson Missouri production companies. They have also performed in New York City and as well have been accepted to the Joffrey School of Ballet’s summer intensive. Many have been recipients of scholarships and numerous high point overall competition awards. The youngest employee of the Universal Dance Association was a Showtime Student. Our former dance students have either previously or are currently teaching at several local dance studio’s such as Fitness & Fun, Jennifer Bishops School of Dance, DK’s School of Dance, Miss Bridget’s School of Dance, and the Florissant Recreation Department. For the past several years, many of our freshman students have been selected for Varsity Dance or Cheer teams at both Marquette and Alton High School. Located in downtown Alton, Illinois; M & M Showtime Productions is within the YWCA building at 304 E 3rd St, Alton, IL 62002, and is easily accessible and provides the customer with a feeling of safety upon their arrival and exit. At Showtime Productions, we can address any issues with reassurance that you are going to receive the highest quality of training in a fun and professional atmosphere. Please give us a call at 618.558.7700.